Jackie, (the Basement Project’s CEO) visited the House of Commons yesterday (13/11/17) with the Lloyds Bank Foundation for England & Wales for the #Smallvitalandvocalcharities event in London. The event was attended by small charities from across the country as well as many constituency MP’s; to celebrate the work of Lloyds Foundation. Thank you for this valued support. 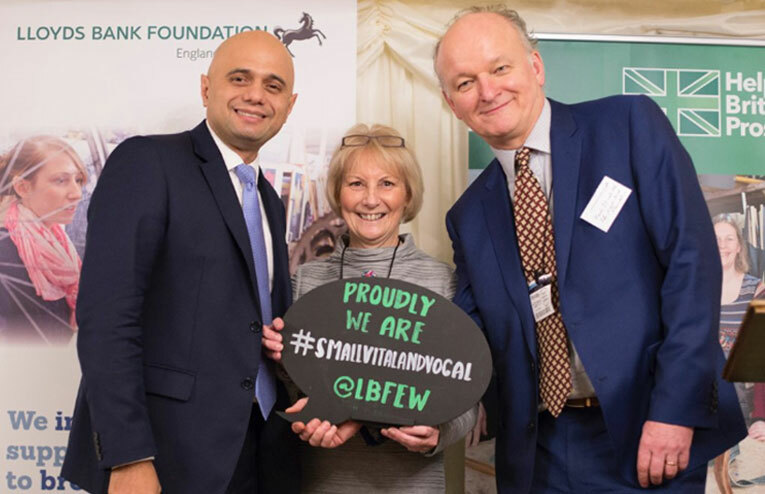 Photo below shows Jackie Hooper, (Basement Project CEO) withSajid Javid, (Member of Parliament for Bromsgrove and Secretary of State for Communities & Local Government) and Paul Streets OBE, (Chief Executive, Llloyds Bank Foundation).